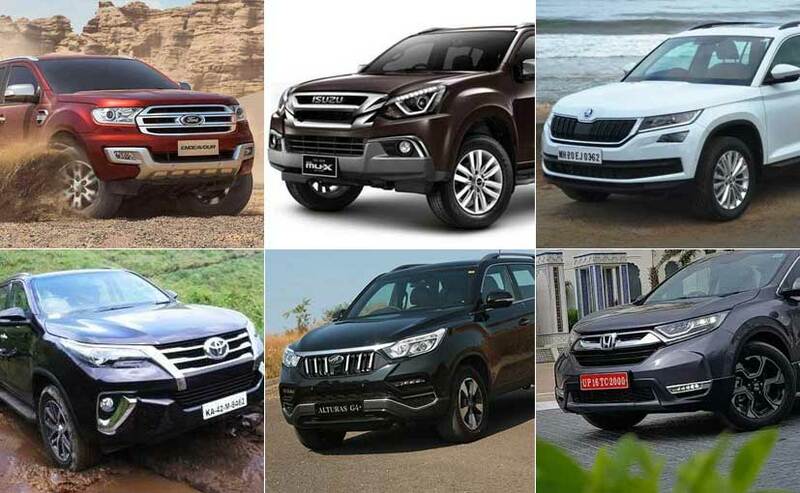 Here's where the new Mahindra Alturas G4 stacks up against its rivals on the price table. New Mahindra Alturas G4 priced aggressively and is feature loaded. The highly anticipated Mahindra Alturas G4 has been finally launched and the model is the automaker's most expensive offering yet. Mahindra's first full-size SUV is both loaded on features across its two variants and priced aggressively, as the company aims to capture a 10 per cent market share in the full-size SUV segment. Competing against the likes of popular sellers including the Toyota Fortuner, Ford Endeavour, Skoda Kodiaq, Honda CR-V and the Isuzu MU-X. Since the Alturas is offered only in the diesel automatic version, we'll be taking only those variants in consideration for this comparison. Here's where the new Mahindra Alturas G4 stacks up against its rivals on the price table. The all-new Mahindra Alturas G4 is available in two trims with the most affordable being the 2WD version priced at ₹ 26.95 lakh (ex-showroom). The Isuzu MU-X is about ₹ 60,000 cheaper priced at ₹ 26.34 lakh, but it is the Ford Endeavour that remains the most affordable offering in this segment with a price of ₹ 26.32 lakh for the 4x2 AT Trend variant whereas the Endeavour 4x2 Titanium trim is priced at ₹ 30.57 lakh. The Alturas G4, however, undercuts the most popular rival in the segment with the Toyota Fortuner priced at ₹ 31.07 lakh, a whopping ₹ 4.12 lakh more than the flagship Mahindra. The Volkswagen Tiguan Comfortline is priced at ₹ 27.49 lakh, making it marginally more expensive than the Alturas, while the range-topping Highline trim is about ₹ 3.90 lakh more expensive priced at ₹ 30.87 lakh. The recently launched Honda CR-V 1.6 Diesel AT is priced at ₹ 30.65 lakh (all prices, ex-showroom), which still commands a premium over the Alturas. The Skoda Kodiaq does not have a 4x2 trim on offer. The Toyota Fortuner and Ford Endeavour are two of the most established SUVs in the segment the 2018 Alturas G4 will have to compete with. Mahindra promised a sub ₹ 30 lakh pricing on the Alturas G4 and it certainly has lived up to the same. The range-topping Mahindra Alturas G4 automatic All-Wheel Drive version is priced at ₹ 29.95 lakh, which remains cheaper than most two-wheel drive offerings in the segment. Compared to the Alturas, the Isuzu MU-X AT 4x4 is priced at ₹ 28.31 lakh, making over a lakh cheaper than the Mahindra SUV. The Ford Endeavour 4x4 Titanium gets the bigger 3.2-litre engine and is priced at ₹ 32.81 lakh. 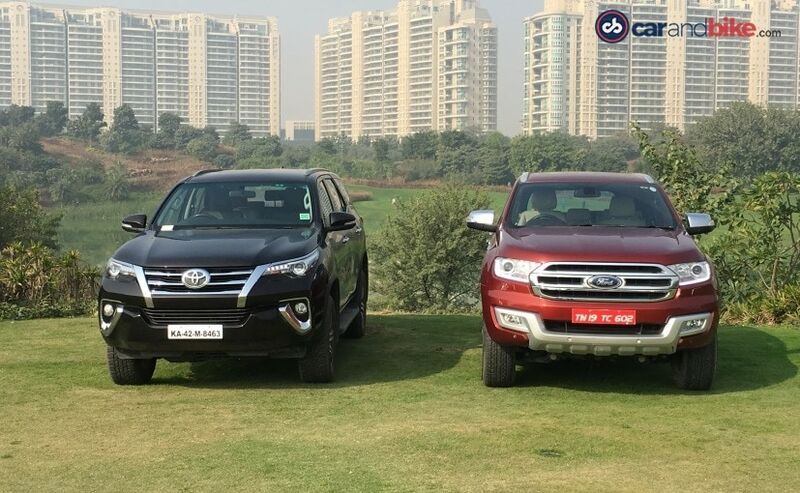 The Toyota Fortuner 4x4 AT is slightly more expensive than the Endeavour at ₹ 32.97 lakh, while the Honda CR-V AT AWD gets a similar price tag at ₹ 32.75 lakh. The Skoda Kodiaq 4x4 becomes the most expensive SUV here with a price tag of ₹ 33.84 lakh (all prices, ex-showroom), the only variant it's offered in. The Volkswagen Tiguan does not get a 4x4 option. With an aggressive pricing strategy, Mahindra has won the first battle in the war of SUVs. However, the Alturas G4 has a lot cut out for itself going up against some very established giants (quite literally!) In the segment. The company will be retailing the Alturas via state-of-the-art zones with the current dealerships that promise to offer a completely digitised buying experience to the customer. The SUV is powered by a 2.2-litre four-cylinder diesel engine tuned for 178 bhp and 420 Nm of peak torque. The motor is paired with a 7-speed Mercedes sourced automatic transmission. Deliveries for the Alturas G4 begin today across the country.